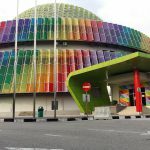 It must have been years since I’ve last visited KLIA- in fact I’ve never been there after the LCCT (Low Cost terminal) (update: now Air Asia’s operations have been moved to KLIA2) airport was built to cater just for Air Asia flights. Easily about 5 or 6 years. When I wanted to book my ticket by end August for my travel in October to Bangkok, I found the Air Asia total payable (after adding the luggage, airport tax, surcharge) to be just too expensive. So I looked around MAS airlines’s website and found that for just RM14.90 fare- it includes in-flight meal and 20kg check-in luggage allowance. 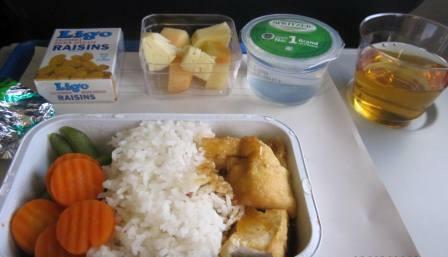 Regardless of MAS’s fare price, they would give the luggage allowance and in flight meal. My round trip to Bangkok cost me about RM506 with MAS, compared to about RM800 with Air Asia (after including 20kg luggage). Vegetarian alone have so much variety. 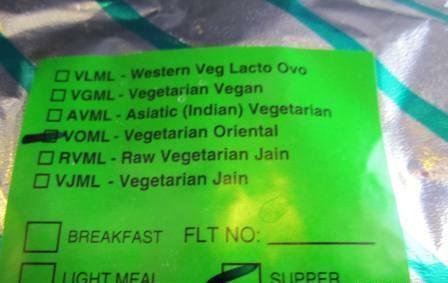 Aside from that, they also have meals for special medical meals, low calorie/low fat meals, low salt, etc. Of course the food is not going to taste heavenly- but suffice to say that it would be filling enough. I arrived at KL Sentral, opting to take the ERL train which the journey would take only 28 minutes. 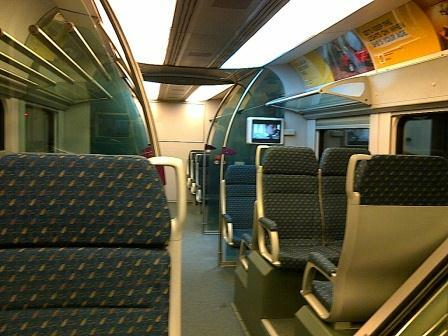 I used to take the ERL train when I go KLIA years ago and enjoyed the hassle free 28 minutes trip. And the best part was, because I flew with MAS- I could check-in my luggage at KL Sentral itself. No need to carry all my bags to KLIA. What a relief! 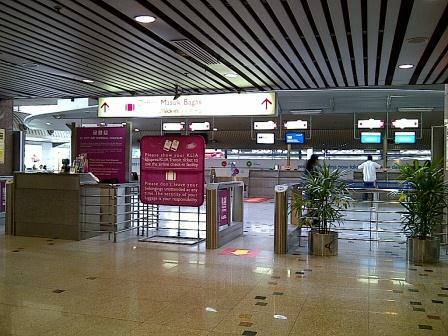 But if you wish to check in via KLIA, you need to arrive earlier. My flight was about 2pm- by 11am I’ve checked in my luggage at KL Sentral at the MAS counter. Before they allow you to check in, you must show the proof of purchase of the ERL ticket which costs RM35 for a single trip. Usually there’s train every 20 minutes on non peak and 15 minutes on peak period. The journey is non stop and take precisely 28 minutes to reach KLIA from KL Sentral. Come to think of it, it’s not so bad if we work in KLIA- if we take the ERL to work everyday, the time of the journey is similar or even shorter than most people need to take the train to town (there’s the monthly pass just for KLIA staff- I think it cost about RM200 if not mistaken and staff id is required to purchase). When reaching KLIA, feels different than in LCCT. 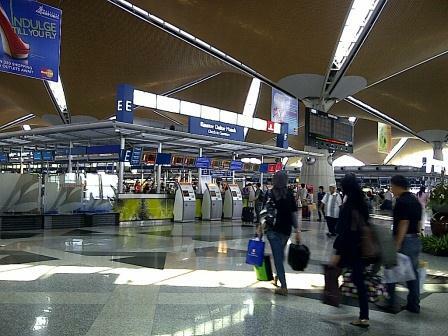 KLIA is similar with Bangkok’s Suvarnabhumi airport. More spacious and not so packed feeling. 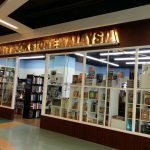 You know, the first time when I came to KLIA not long after it was opened- that time I went there to get myself familiarised with the airport as I was expecting an overseas guest. That time I have not started to travel (except for my company’s annual teambuilding trip). But as I went into the airport and looked at the glass window overlooking the runway, a funny feeling struck me that in future, I would come to the airport quite often. I had not thought it was possible then- but about few years later, yes, I was travelling few times a year until now. 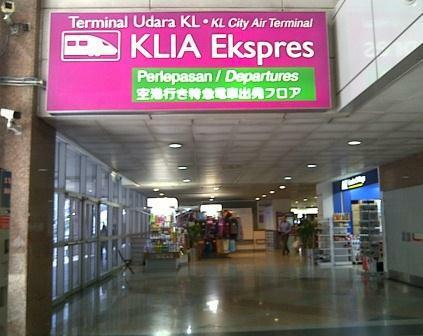 Nostalgia aside- when I am back to KLIA, I realised that I quite miss travelling via KLIA. The only downside is perhaps the distance- if your departure gate is far away, you may have to walk easily up to 30 minutes or more because the airport is huge. Whereas in LCCT, the distance is shorter- not far after Immigration, and when you take the lift down, it is already the departure gate. Ahh…then you need to walk outside to catch your flight and if it rains, you would be given an umbrella to get to the plane. Due to the short duration taken to commute to KLIA (since I’ve chosen the ERL over the airport bus), I was already at the departure gate more than 2 hours early before the flight. While waiting, I published a few articles via my Blackberry (did not want to use the airport free Wifi on my netbook as the connection is not secured). Next thing I knew, it was time for boarding. At the airline, each guest was greeted courteously. The staff don’t care what you wear- even though you go in slippers and a cheap looking tshirt, they extend the same courtesy as with someone well dressed. We get a free copy of the newspaper of our choice (Star, Strait Times, Nanyang, Sin Chew) and then in flight meal. If it is really cold, you can borrow a blanket and a pillow if you want to sleep. But the air conditioned was alright. There is an in-flight meal, and we can request to top up our drinks. You can select carbonated drink, orange juice, apple juice, tomato juice or wine. Coffee or hot chocolate can be prepared at request. Above is my in-flight meal with apple juice. I’ve selected “Vegetarian Oriental” and so they gave me Ligo raisins (I was eyeing at my neighbor’s Toblerone chocolate bar, hee hee). I make frequent stops to Bangkok now. 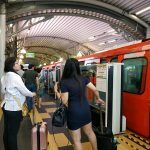 With Air Asia’s decision to stop at Don Meaung (old airport) instead of Suvarnabhumi, I would want to try to book my flights via MAS so that it stops at Suvarnabhumi airport. Overall, for this trip, the fare to Bangkok was about RM300 lower compared to if I were to book via Air Asia. Anyway, during my return trip with MAS, my flight was delayed for more than 2 hours due to some mechanical error that the pilot wanted the technican to check just to make sure. Well, better safe than sorry. And flight delays can happen with any flights regardless of budget or expensive, economic or first class. Again, I used the time to type out some posts using my Blackberry and I did not really notice the time passing by.